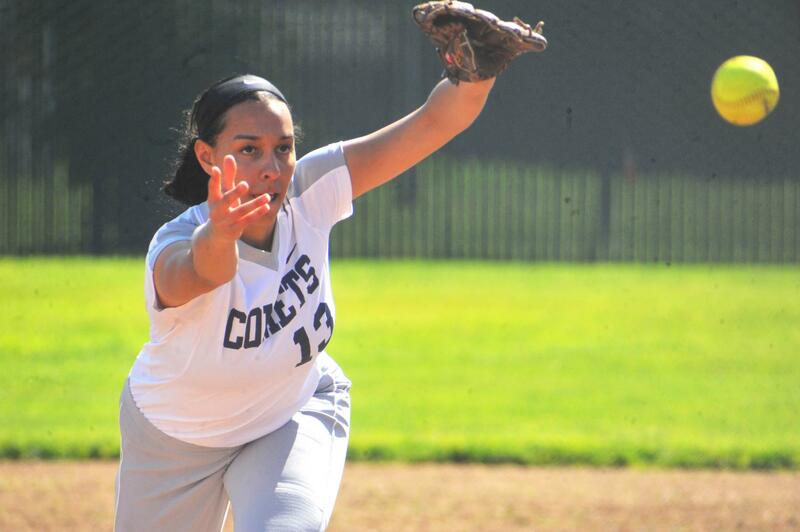 Comet pitcher Larissa Carvalho launches a pitch during the top of the fourth inning in Thursday’s 15-2 loss against Yuba College at the Softball Field. 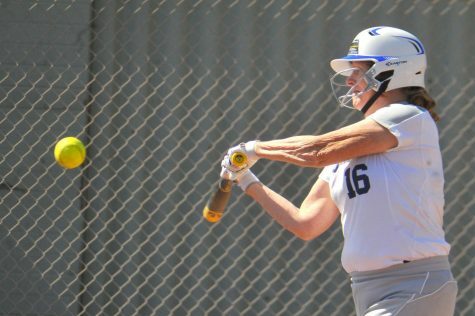 Miscues and inexperience underscored the softball team’s second home performance as the team fell 15-2 and 13-4 in a doubleheader sweep to Yuba College (3-10 overall, 3-4 in the Bay Valley Conference) Thursday at the Softball Field. 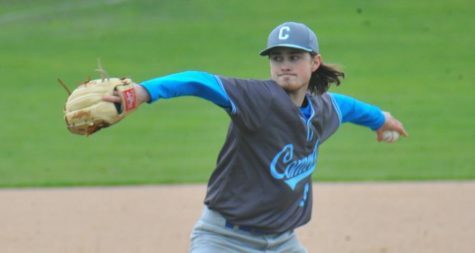 CCC (0-4 in the BVC) entered the game looking to put runs on the board for the first time in recent memory, after suffering 41-0 and 28-0 shutout losses against Mendocino College March 19 — the team’s first series in two years. 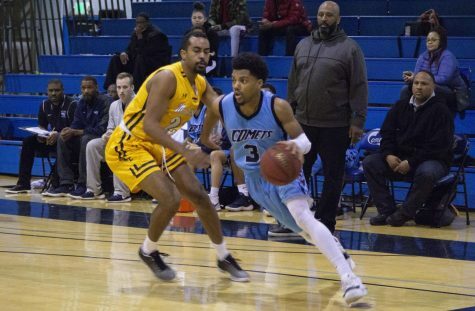 In both games against the 49ers, CCC was forced to use a position player to pitch, as coach Taylor Harris has yet to decide who will be the permanent starter. “Our pitchers aren’t pitchers,” Harris said. But she said she is proud of the growth her pitchers have shown. “Just being able to get the ball across the plate makes me happy,” Harris said. In the first of the two games, the 49ers struck gold and took a 7-0 lead after the first inning of play. 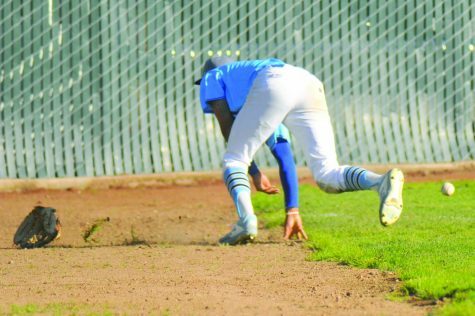 As CCC settled in defensively, Yuba’s offense was held in check and the team scored just two runs over the next four innings. Things turned sour fast for Savana Spencer, who is regularly at third base but was selected to start the game. The outing would be Spencer’s first time pitching at the collegiate level. The first eight batters reached base safely with five batters reaching base via walks. Spencer finished her outing with three innings pitched and allowed 12 runs on 14 hits with five walks and one strikeout. 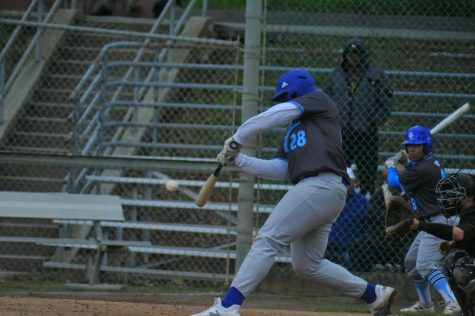 It was also a tough inning for the CCC’s defense with routine pop-ups and ground balls consistently getting past Comet fielders. CCC responded with six hits and two runs in the bottom of the inning, led by infielder Jenna Husic. The shortstop collected three hits in the first game of the doubleheader. Center fielder Ali Cuellar scored the first run for CCC on a fielder’s choice to first, however, the team missed a massive opportunity to score multiple runs in the bottom of the fourth inning. Following two walks, a fielder’s choice and a hit by pitch, the bases were loaded for CCC. However, without a clutch hit, the team only ended up getting one run out of the situation. Harris was proud of her team’s continuing improvement and growth. Yuba batters had an executable game plan which consisted of taking pitches and working the counts. When on base, the 49ers focused on timing the pitcher to steal bases and advancing on any bad pitch. That strategy worked, but it was also exposed as six players left the base early resulting in outs. 49ers coach Ashley Walden said she was happy with her team’s performance. 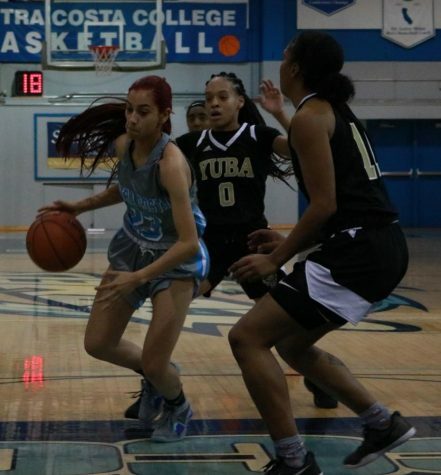 “It’s been a rough start to the season, but the girls keep a good attitude,” Walden said after the first game of the doubleheader. 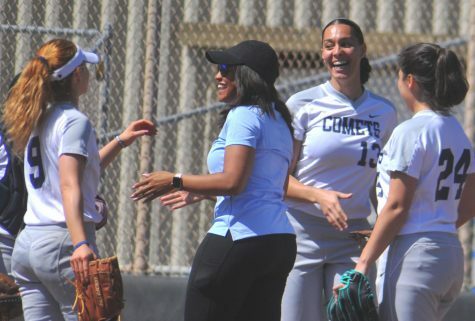 Comet infielder Larissa Carvalho, who threw two innings in relief during the first game, started the second game of the doubleheader for the CCC. Carvalho retired the first two batters she faced. With two outs in the first inning, 49er first baseman Olivia Belser (.273 batting average) hit a double to extend the inning, followed by a walk by second baseman Hunter Yancey (.173 batting average). The 49ers had two on with two outs when left fielder Alisa Shaw (.200 average) hit a single to give Yuba a 2-0 lead in the first inning. The Comets immediately responded with back-to-back hits by third baseman Spencer and shortstop Husic. 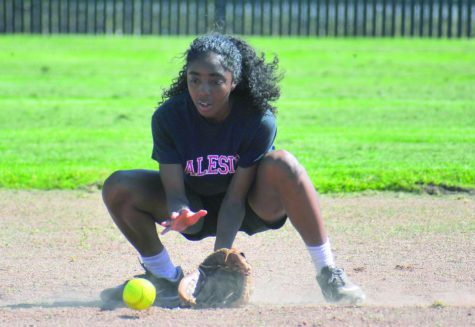 The team added to its success with a fielder’s choice to second base by catcher Ariana Rhodes. Carvalho, who was hitting cleanup, helped herself out with a two-run RBI double — tying the score at 2-2. All looked great for CCC, but that only lasted half an inning. 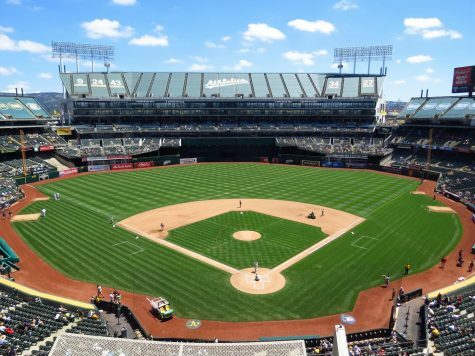 The 49ers responded with a five-run second inning to retake the lead, eventually winning 13-4. The Comets won’t play another game until after spring break the week of April 8.